Duck Tail Pasta earns Grand Prize in Maple Leaf Farms recipe contest. 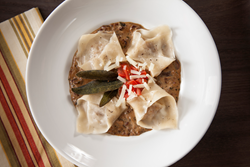 Grand Prize: Duck Tail Pasta with Creamy Mushroom Ragu by Suzanne Clark, of Phoenix, Ariz. 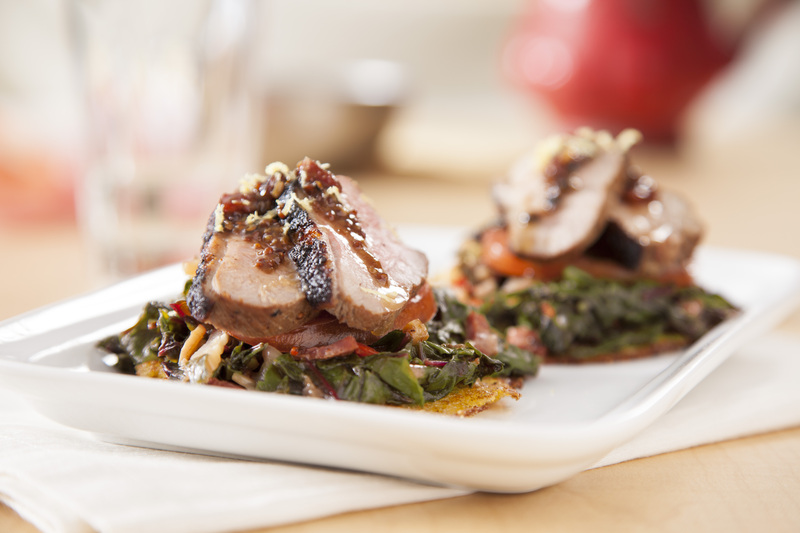 Duck is a versatile protein that is gaining popularity for everyday meals. Maple Leaf Farms has selected the winners in the 2014 “Strut Your Duck” Recipe Contest. The contest challenged entrants to create an original recipe that featured Maple Leaf Farms duck and submit a photo of the plated dish as part of the entry. Taking the Grand Prize of $4,000 was Suzanne Clark, of Phoenix, Ariz., for her Duck Tail Pasta with Creamy Mushroom Ragu recipe. She will also receive free Maple Leaf Farms duck products for a year. A recipe submitted by Mary Edwards, of Long Beach, Calif., for Creole Duck with Crispy Corn Cakes and Candied Greens was awarded the First Runner-Up Prize. 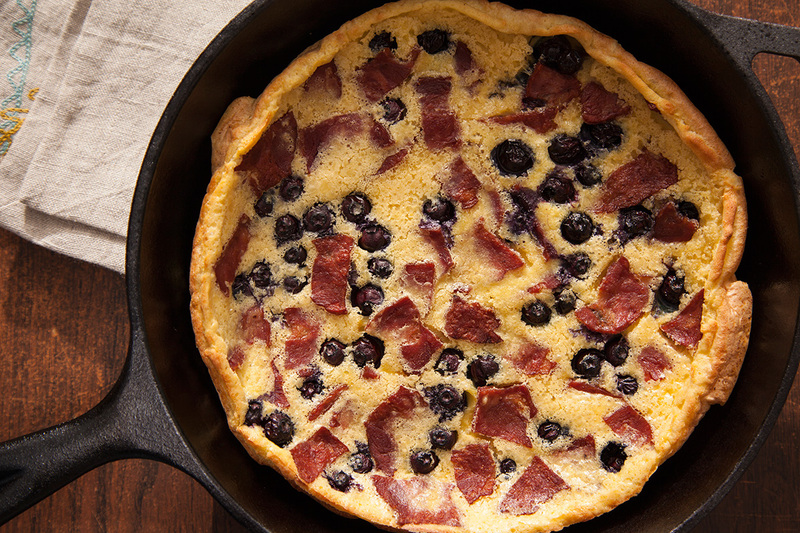 The Second Runner-Up Prize was claimed by Jennifer Beckman, of Falls Church, Va., for her Duck Bacon and Blueberry Pannekoeken. All recipes with accompanying final dish photos were evaluated anonymously by a panel of judges from Maple Leaf Farms in two separate judging rounds. The Top 10 finalists' recipes were prepared by staff chefs in the final round of judging, where taste of the prepared duck dish was emphasized. All contest entries, along with the winning recipe entries, may be viewed on the contest website at http://www.duckrecipecontest.com. Maple Leaf Farms, Inc. is America's leading producer of quality duck products, supplying retail and foodservice markets with innovative, value-added foods. Founded in 1958, Maple Leaf Farms is a fourth generation family-owned company. For more information, contact Maple Leaf Farms at 1-800-348-2812 or visit http://www.mapleleaffarms.com. 1st Runner-Up: Creole Duck with Crispy Corn Cakes and Candied Greens by Mary Edwards, of Long Beach, Calif. 2nd Runner-Up: Duck Bacon and Blueberry Pannekoeken by Jennifer Beckman, of Falls Church, Va.